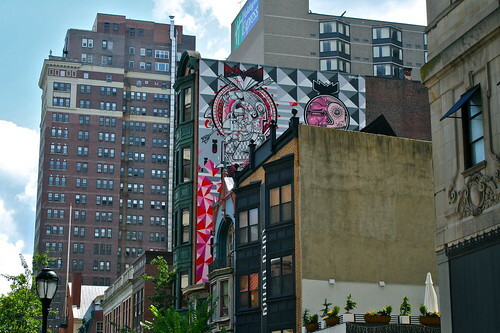 Instagramed photos of this new mural getting painted on 13th street, between Sansom and Chestnut, about a week ago. (You can check out those photos here and here.) But, it looks like the mural’s now finished, and it’s DOPE!! 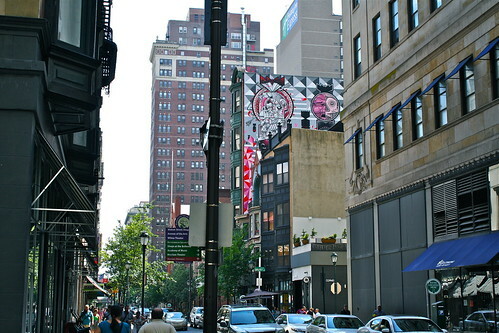 The mural, titled “Personal Melody,” was done by a pair of twin brothers from New York, Raoul and David Perre, who are respectively known as HOW and NOSM. It’s super hard to get any really great photos of the mural, mostly because it’s almost right next to another tall building, but the artists have spectacular photos of the full mural (aided by the help of a big boom lift) on their blog, which you can check out HERE.